your local agent Why do this? Local BranchIf you make Double S Travel - LUTON your local branch, then all the contact details shown at the top of this website will be those for the Double S Travel - LUTON branch. We will need to use an anonymous cookie to make this happen. This doesn\\\'t store anything about you and you can read more about cookies in our Privacy and Cookie Statement which is linked to at the bottom of every page. Double S Travel is a well established travel agency, having been established in 1985. We have been selling cruises and long-haul tailor-made holidays to discerning clients for nearly thirty years. `I aim to be your most trusted dream provider\\\\\\\' has been the philosophy behind everything each consultant at Double S Travel does. I have been in the travel industry since 1982 and am passionate about the service Double S Travel provides. For five years I was the Travel Expert on BBC Three Counties Radio, co-presenting a phone-in programme about all aspects of travel. 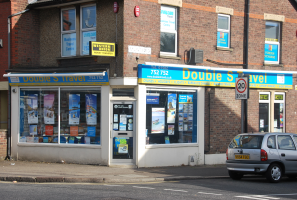 Double S Travel has been a nominated in the Travel Agent Achievement awards on no less than six occasions.